Because of so much hacking and fraud going on so much ever since the web went live, the never ending battle rages on in trying to improve people’s security on the internet. Password requirements on many sites have gotten so complex where numbers and capitals are required making it insanely difficult to remember every password for every site that requires a login. The solution to all of this? 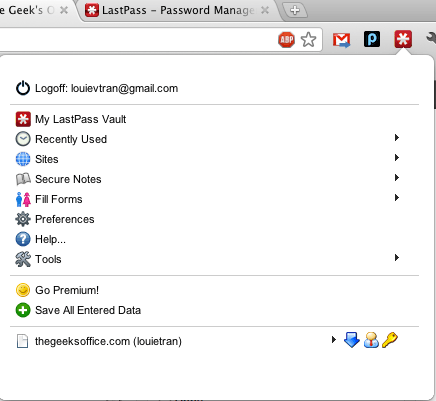 A free web app called LastPass. Read the entire review after the break. Setting up LastPass is pretty much a two step process and pretty much just involves registering online and installing the app/extension onto your browser (compatible with all major browsers and operating systems). When you sign in to your Twitter, FaceBook, online banking site, or whatever site that requires a login, LastPass will ask if you want to save that information onto the application which features a 256-bit encryption. LastPass also has a feature where it can save your contact information and automatically fill out your name and address for online forms such as shopping sites that request them. The interface is very straight forward and simple to use. Everything mentioned above is all free. Now the paid version which costs $12 a year removes ads, lets you use the smart phone app (supports iOS, Blackberry OS, Android, Symbian and more), added security features and free email and phone support. 5. On “Automatically Logoff after idle” change the value to most 60. This way, you have to login to your last pass account every time you open your browser. It’s still just ONE password to remember and if you can’t handle that, then are a hazard to yourself on the internet! So when someone steals your computer at a coffee shop or airport when (god forbid), then you can at least know that they won’t be able to have easy access to your online accounts. This is a great app for people who have a boatload of passwords and the average user will benefit from everything the free version offers. Those who need the added security and want the ads removed, $12 a year is an incredible bargain. The interface is clean and very easy to use. Just keep in mind that your laptop or desktop can get stolen with your LastPass logged in by default! That’s the one thing the app should immediately point our or have the auto login turned off for the initial setting. 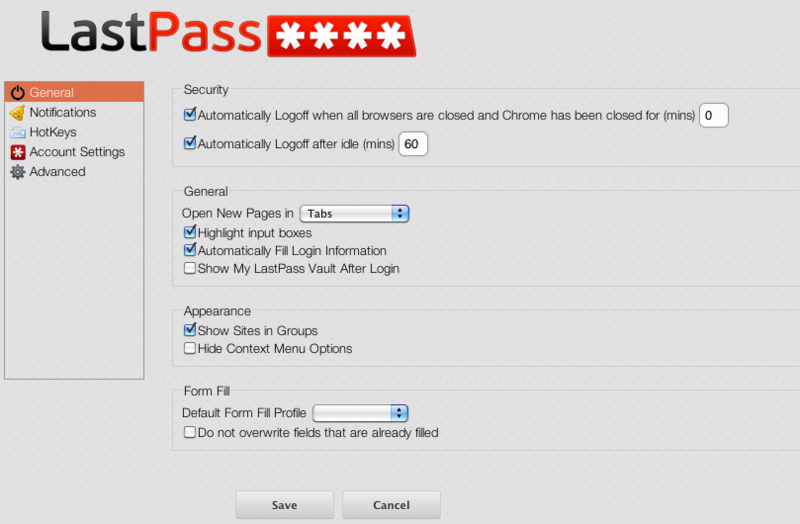 LastPass stays logged in by default! If someone steals your computer or laptop, you can potentially be screwed! The side named with the geek's office is the most Appling side for the students it does not only provide information about the latest gadgets in the town, but the use of those gadgets, new applications games and technologies. Along with this the side provides information about the quality food changes which are Appling to the youth to enjoy their lunch from variety of places. This is really an interesting and informative post. Great efforts made here to share this article with others educate in a better way. Thanks..